Elon Musk does not seem to mind though. Despite his position as the CEO of Tesla and chairman of SolarCity, Musk has noted his lack of filter and marketing skills, and the results are sometimes, well, perfect. 1. 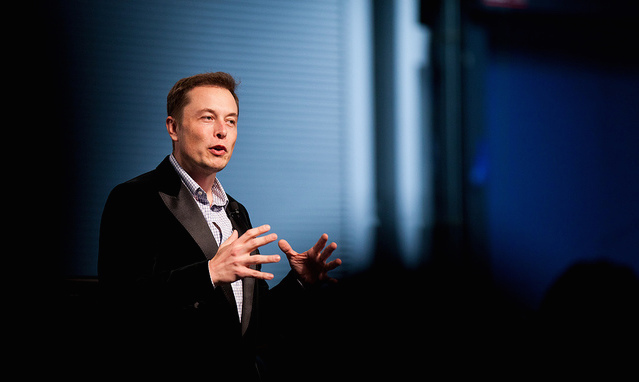 Musk personally canceled a blogger's Tesla pre-order after receiving a "rude" letter. 2. He denied his cousin a family discount at Tesla, or rather, offered a family discount to everyone. One of Musk’s most important critics, his son, complained that he could not read in the back of his dad’s car. Musk brought the backseat reading light back to the Model S, even offering to put the lights into cars that had already been delivered—for free. 4. When Musk was asked about his personal life, his reaction was hilarious. Musk has joked in the past about how marriage has not worked out for him, with his first marriage ending in divorce, and his second marriage also recently ending in divorce. But when asked about his personal life, the billionaire definitely seems to know what he is doing. 5. Apparently for Iron Man, getting wasted is in the job description. Musk told Bloomberg that Robert Downey Jr., who plays Marvel's Iron Man, once showed up at the SpaceX office playing on the notion that Musk has been called the real Iron Man. Bloomberg's reporter noted that Musk did not seem to have the bad-boy personality Tony Stark has. 6. Musk got a little off track when introducing the bioweapon defense mode on the new Tesla Model X. 7. Musk made a sexual joke on The Late Show and then laughed at it while everyone else was still processing it. 8. And Musk’s response to warming up the planet sounds incredibly nonchalant, but warning, it’s not. 9. Musk doesn’t recommended using the Model S as a boat, or does he? Sure, the Model S can float, but it is not recommended by Tesla or Musk.